The technology incorporated in the Hazelett twin-belt zinc strip casting machine has evolved over decades of innovative engineering and design in our shops and in those of our partners where casting trials are conducted. Each new casting machine incorporates the latest mechanical, electrical, and process improvements and delivers ever-increasing production volumes and product quality. Open pool feeding is used when casting zinc strip. In this case, the upper belt pulley is offset downstream. 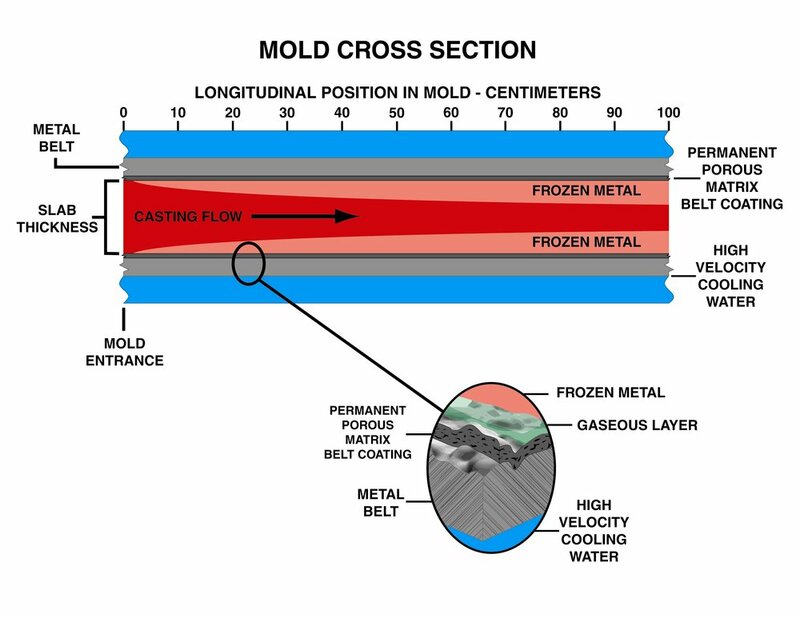 Metal flows through an open trough or closed snout into a standing pool of molten metal formed at the convergence of the belts. Metal flow is regulated in this open pool feeding system by means of a laser pool level sensor signal that controls the speed of the casting belts. 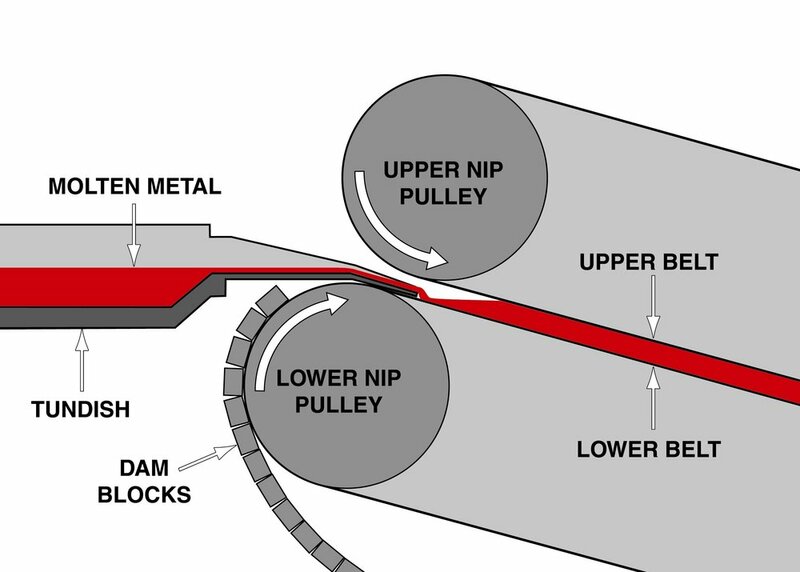 As the pool level decreases from setpoint, the system will slightly decrease the speed of the casting belts to allow the molten pool level meniscus to rise towards the setpoint.